Although it is rarely the fault of the individual, growing older often involves our bodies collecting fat in places we are unable to tone through exercise. One of the most common places for undesirable fat collection is under the chin, resulting in a look commonly referred to as double chin. While the collection of fat cells here is extremely widespread, it is also something just about everyone hopes to avoid in their lifetime. Thankfully, a new FDA-approved treatment that allows for the reduction of moderate to severe fat below the chin is now available: Kybella injections. At Rejuvenation Medi-Spa, we offer these submental fat injections to combat against double chin. Kybella injections are created from the naturally occurring molecules of deoxycholic acid. This alcohol soluble acid is used by the body to destroy fat cells, andwhen injected into the submetnal fat below the chin, Kybella eliminates the ability of those cells to store fat. Typically, results are seen in as little as two to four sessions, and Kybella treatments should be scheduled at least one month apart. Additionally, because Kybella is a prescription medication, it can only be administered by a licensed professional. 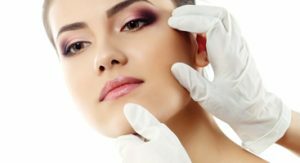 Although there are some possible side effects to Kybella injections including swelling, bruising, pain, numbness, redness, and hardness in the treatment area, Kybella injections are known to be safe and FDA approved. Plus, once the desired results from the injections are achieved, there is no expected need for continued treatment. Put an end to your double chin and make a skin clinic appointment at either our Prince Frederick or La Plata locations. Schedule an appointment online, or call Rejuvenation Medi-Spa in Maryland today at 443-291-7302. Don’t forget to check out our monthly medspa treatment promotions to see how you can save on Kybella injections today!